Using Shortcodes with your SEO RETS plugin makes it easy to embed MLS search features into your website without difficult coding. Here are the steps to customize your Shortcode, and insert it into your website page or post. Preview the page or post to view. Customizing your website with shortcode is beneficial for your website visitors. Create custom MLS Feeds using shortcodes. Here are a few ways you may want to use SEO RETS Shortcodes on your website. Create city pages to show only listings in certain cities. Show listings of a certain type, like only condos. Create a page of listings by zipcode. Customize a webpage with only waterfront listings. 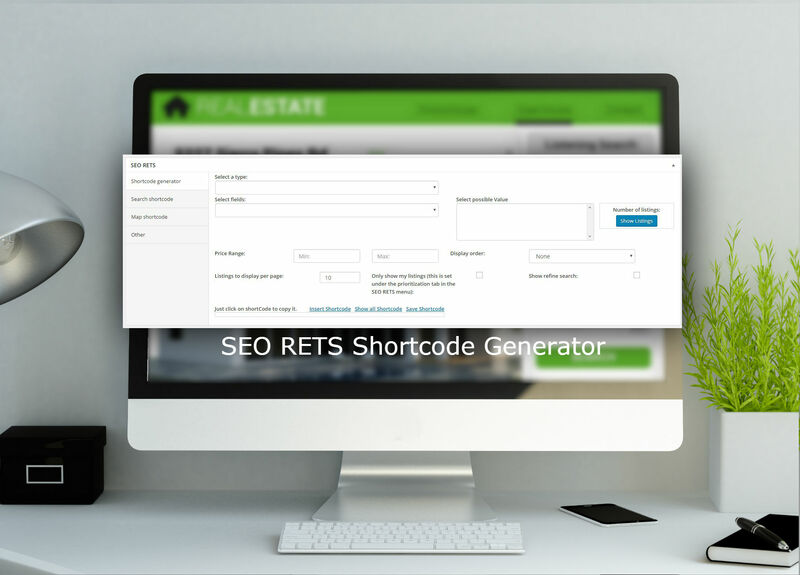 View the SEO RETS Shortcode Generator video. Interested in testing out SEO RETS on your website? Request a Free 30 day demo.